and Tánaiste and Minister for Foreign Affairs and Trade, Simon Coveney, will do the honours. Kick-off is at 7.35pm and home head coach Johann van Graan has named his squad with captain Peter O’Mahony making his first appearance of the campaign along with fellow returning international Andrew Conway. Joey Carbery and Tadhg Beirne make their first starts for the province. Chris Cloete makes a welcome return in the back row with the flanker out of action since February due to forearm and groin injuries. There are 11 changes to the side beaten by Glasgow in Scotstoun last week. 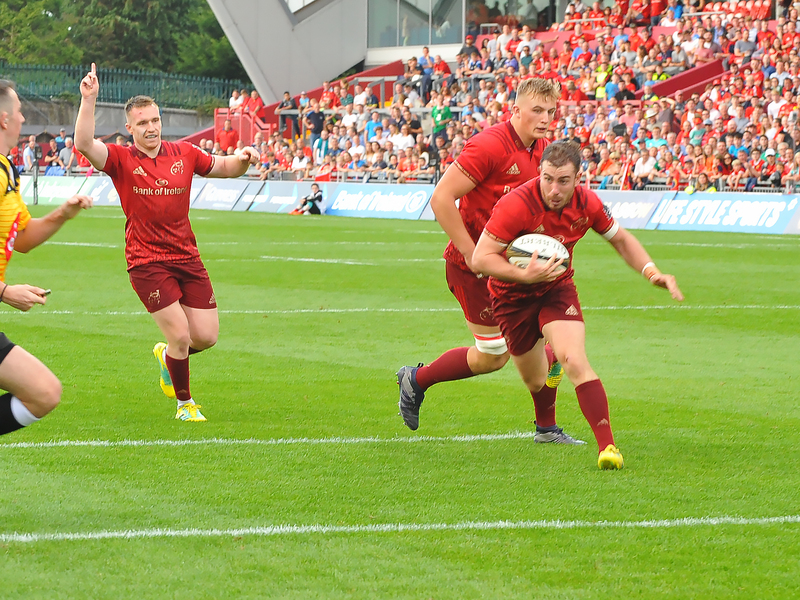 Full-back Mike Haley and winger Darren Sweetnam keep their places with Conway completing the back three. Dan Goggin comes into the side at inside centre with Sammy Arnold at 13 as Duncan Williams and Carbery form the half-back pairing. It’s all change in the front five as James Cronin, Rhys Marshall and Stephen Archer starting in the front row. Darren O’Shea captained Munster A to an opening day Celtic Cup win last week and is rewarded with a place in the second row alongside first-time starter Beirne. Arno Botha is the only forward to keep his place in the side and is joined in the back row by captain O’Mahony and Cloete. All Ireland camogie champions Cork will be special guests at the clash along with the O’Duffy Cup and the squad and trophy will be presented to the crowd at half-time.